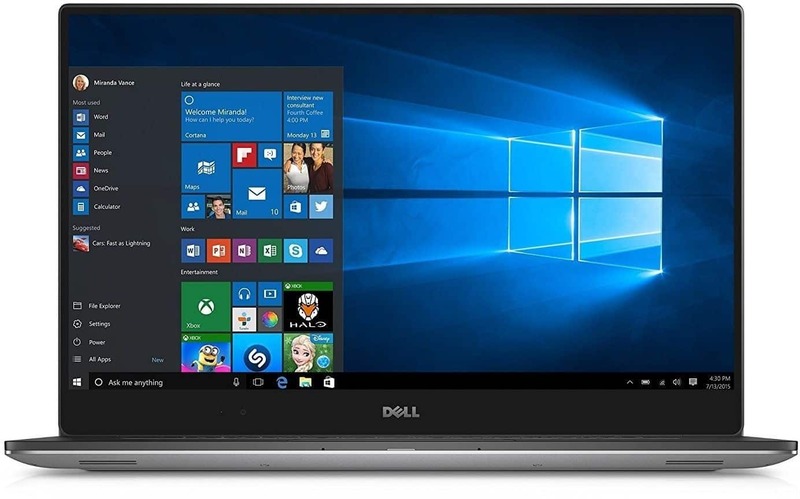 The Dell XPS 15 9560-7001SLV-PUS 15-inch high end laptop has received positive for its incredible 4K InfinityEdge display that has near 100 percent Adobe RGB color. It comes with impressively powerful hardware, including the 7th Gen Intel Core i7 and 32GB of RAM, with the combination of the two making easy work of demanding applications. The dedicated GTX 1050 is a great addition for video and photography editors. Customers loved the aluminium chassis and thought that the laptop felt sturdy. There was a large amount of criticism directed towards quality control, with many reviewers pointing out that they received laptops that had no OS installed, unstable drivers, or that were damaged. There were also reports of the fans becoming quite loud under load and the webcam placement was noted as being poor. Lastly, some noted that keyboard quality wasn’t the best, suggesting that it can feel slightly shallow. Despite its faults, the Dell XPS 15 9560-7001SLV-PUS is a stunning and powerful laptop. Moving from the i7-6700HQ to the i7-7700HQ is the tiniest of steps forward. Moving from the GTX 960M to the GTX 1050, however, is a significant graphical leap for the XPS 15 series.